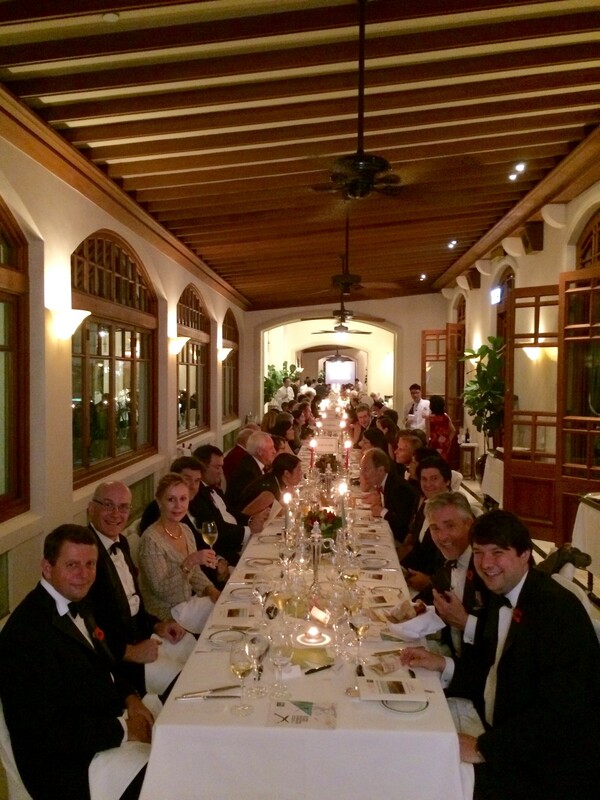 On Wednesday 11 November, a Gurkha 200 dinner was held in Hong Kong. The evening was coordinated by Christopher Lavender, late 2GR, with help from David Bulbeck, late 6GR. Sir Michael Kadoorie very kindly allowed the dinner to take place in the Repulse Bay hotel and guests included ex-members of the Brigade of Gurkhas as well as a number of high profile organisations in Hong Kong. Colonel Brigade of Gurkhas, Col James Robinson, gave a short talk on the history of the Brigade and recounted a couple to tales of recent Gurkha heroism in Afghanistan, and then after the meal the main speaker was General Sir Peter Wall who spoke about his time serving in Hong Kong and the current challenge faced by the Gurkha Welfare Trust in Nepal. 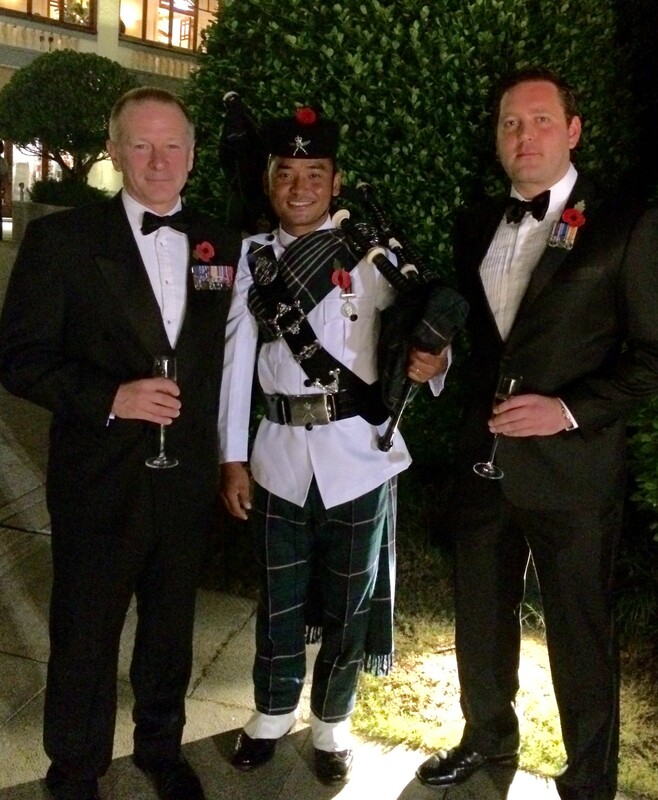 Rfn Nimeshkumar Gurung, a piper with the 1RGR Trailwalker team preparing to run in the Hong Kong Trailwalker on 20 November, played before and after the meal. In addition to donations for the dinner, a raffle was held and a sizeable sum was raised for the GWT.